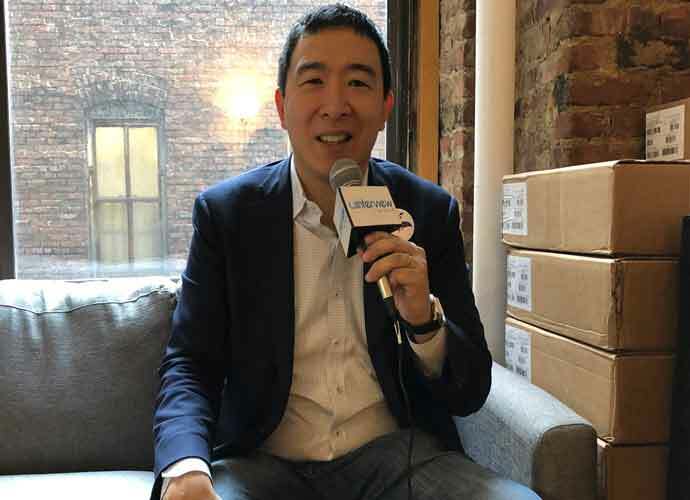 Andrew Yang may not be the most high-profile of all the 2020 Democratic presidential contenders, but he has already proposed many thoughtful changes and solutions to many issues like education, election reform and universal basic income. The 44-year-old New York-based businessman and founder of entrepreneurship nonprofit Venture for America explained in an exclusive discussion with uInterview how he believes the American health care system should be reformed. President Donald Trump and many Republicans have blasted Barack Obama‘s signature healthcare law, the Affordable Care Act (ACA). However, GOP lawmakers have repeatedly been unsuccessful in their attempts at repealing and replacing the law, which forces people to pay a tax as a “penalty” of sorts if they don’t purchase medical care. Several judges have also ruled against Trump’s efforts to replace the ACA. Should the current administration repeal Obamacare, more than 20 million Americans could be affected, including many of Trump’s supporters. Some progressive politicians like Sen. Bernie Sanders (I-Vt.) have backed the idea of Medicare-for-All and stressed the notion that health care should be guaranteed as a right and not as a privilege to all Americans.